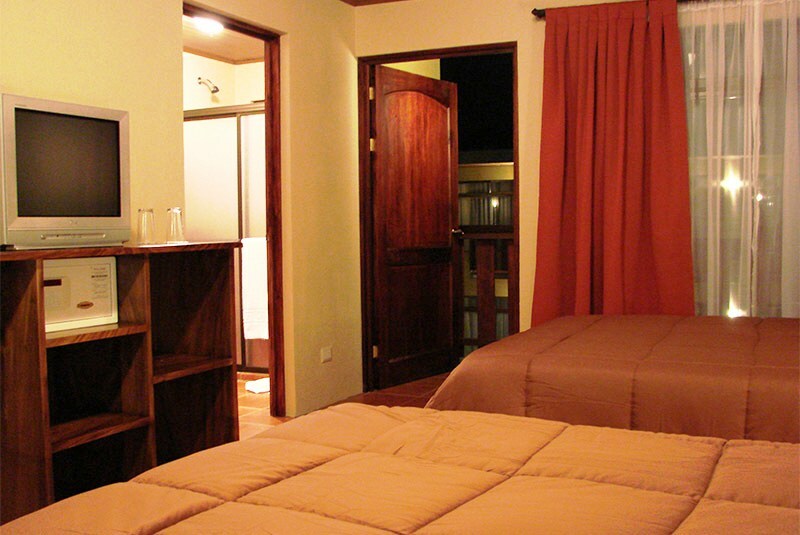 Monteverde Country Lodge combines reasonable lodging prices with traditional Monteverde cozy-rustic style. Come experience the comfortable facilities and a warm family environment. The grounds, neatly keep gardens, and amenities are designed to provide authentic Costa Rican hospitality. Located less than 10 minutes away from the Monteverde Cloud Forest Biological Preserve and within walking distance to downtown Santa Elena, Monteverde Country Lodge is the perfect option for those who are looking for cozy comfort and easy access to all the activities that Monteverde has to offer. Focused on family trips and seeking to provide their guests with the most typical Costa Rican lodging experience. Monteverde Country Lodge was remodeled assuring the maximum comfort, yet preserving the real essence of traditional rustic lodging of the Monteverde from 20 years ago. Wooden finishes and gorgeous gardens keep both Costa Rican and international guests in touch with nature. While personal service from your local staff makes you feel right at home. Inspired in Monteverde 1980’s architecture, Monteverde Country Lodge offers a traditional cozy ambience, environmental responsibility, and the kind local staff that you can find only in Costa Rica. 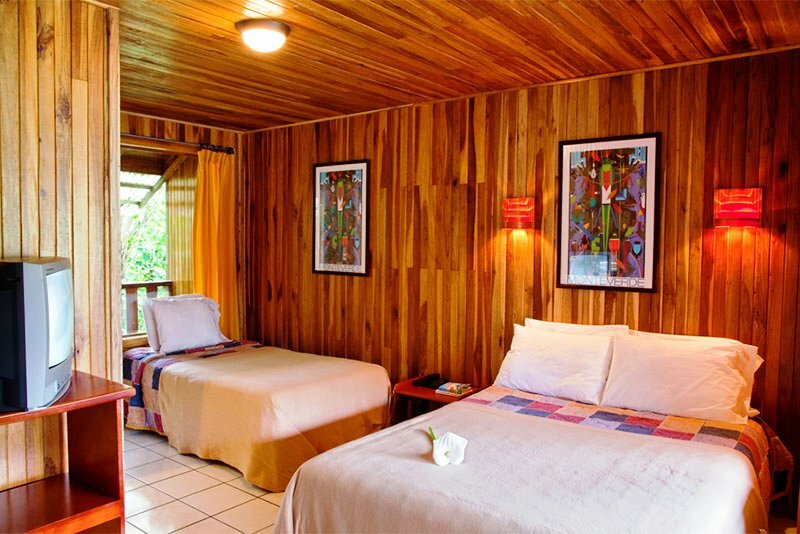 These rooms maintain the style of the first Mountain Lodges in Monteverde. Yet, they offer added comforts such as: Cable TV, telephone, in room security box, black out curtains, hot water showers and a warm ambience. Garden-surrounded wooden – detailed rooms; patios, and fountains create an excellent combination for relaxation and enjoyment. So grab a book, a glass of wine, or a pair of binoculars and forget about everything else. Occupancy up to 5 people, cradles available upon request. Superior rooms offer free Wi-Fi and views of the tropical gardens and surrounding forest. Cable TV, a coffee maker with delicious Monteverde coffee, an electronic security box, telephone, black out curtains, free toiletries and a hair dryer, room service. Etc. These are the newest rooms and they are more spacious, better isolated, more ventilated and offer extra comforts. Balconies and front corridors create a nice extension of the room´s features. King size beds available for couples upon request, occupancy up to 5, roll-away and cradles available upon request.